If you have been considering using business forms software to improve workflows and processes in your company, you have probably weighed factors like how much time it can save, how it will reduce error rates, and how it will make reporting easier. You have probably thought about the range of business processes you can apply your business forms software for everything from expense reporting to new employee onboarding to managing the transportation pool. Forms software can help you manage everything from the company softball team to the transportation pool. Something else to consider when evaluating options for business forms software is how it can make things easier during tax season. Any tax professional will tell you that what you do year-round makes a profound difference at the times you’re required to pay estimated taxes or reconcile taxes paid with taxes owed. Outstanding business forms software makes tax-related activities less of an ordeal. 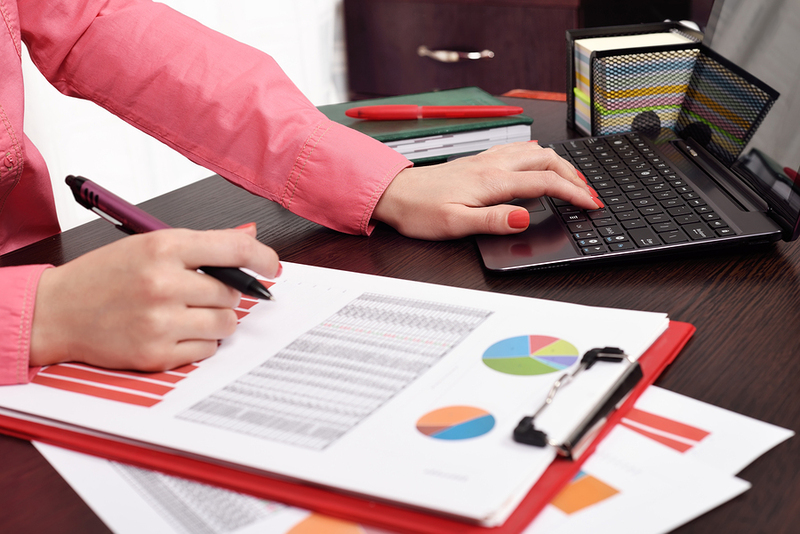 Here are some ways business forms software can make life easier during tax season. When you use business forms software to create custom forms to authorize and keep track of various categories of business spending, you make it easier to figure out your true tax liability. For example, electronic forms and workflows developed for approving and tracking advertising spending can help you deduct every dime you’re entitled to. Other categories of business spending important at tax time include commissions paid to subcontractors, records of depreciable business assets, the cost of professional fees, and how much your business spent on fringe benefits, like health insurance and retirement plan administration. Not all business forms software is created equal. It’s wise to invest in software that easily integrates with other software and databases. Suppose your company uses electronic workflows to approve and document charitable contributions. If your software can automatically put information about those contributions (such as amount, date, recipient, etc.) into a database or spreadsheet, you’ll have it all in place and ready to work with when it’s time to do taxes. The best business forms software knows how to “play nicely” with your other software and databases. Depending on what your business does, it may have multiple forms of business income. Of course, you’ll have gross receipts from sales of products and services, but you may also have interest and investment income. You may also, for example, rent out some of your unused office or retail space and generate revenue that way. Different types of business income are handled differently at tax time. Additionally, your tax situation may be affected by where, geographically, the income was made. Outstanding business forms software is able to collect all pertinent information about every type of business income so you can be confident it is all reported correctly and that your tax bill is accurate. Finally, never underestimate the importance of your business form software’s reporting capabilities. Not only can powerful reporting help you make smarter business decisions throughout the year, these capabilities can also make your tax accountant’s work significantly easier. Can you use your business forms software to run reports on all types of deductible business expenses? Can you create another report breaking down business income categories? Can you make a report that shows how much you spend on each type of employee fringe benefit? If so, your tax accountant will have a much easier time and you can be more confident your tax calculations are accurate. It would be nice if we only had to think about taxes once a year, but generally, if we want to stay in business, we have to consider our tax picture year-round. You might not think that the business form software your employees use to reserve company vehicles or to report reimbursable travel expenses would matter much to your tax exposure, but it very well might. PerfectForms is powerful, flexible, customizable business forms software designed for use by non-technical people to streamline forms and workflows throughout an organization. It also includes easy and powerful reporting capabilities, and can be made to integrate with numerous types of web forms and business software without having to hire a programmer. We invite you to sign up for a free trial of PerfectForms so you can see for yourself the practically unlimited ways it can boost efficiency, cut costs, and ensure your reporting is always accurate and thorough, not just at tax time, but year-round. This entry was posted on Friday, February 5th, 2016 at 2:59 pm	and is filed under Workflow. You can follow any responses to this entry through the RSS 2.0 feed.